Description: An ornate hood worn by the winged spirits who thrive in the Djinn world. 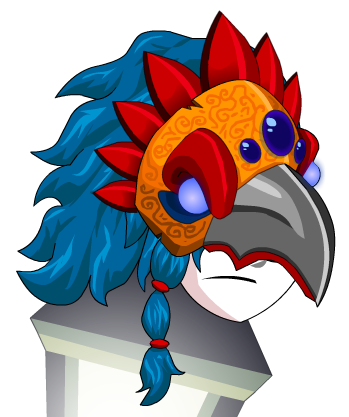 Harpies wear this headdress to that they can mask their horrible mutated face. Thanks to OmfgRly and Rahmira.